Technology has changed the way people do their jobs. No longer are they confined to their employer’s office and they’re increasingly taking advantage of this fact. “The millennials in the workforce now want to work when they want to work, wherever they want to work and how they want to work,” states Julian Chambers, head of partnership growth at IWG, the parent company of Regus, the franchise providing serviced office spaces. But it’s not just the workers who like flexibility – their employers are also becoming more willing to cater to their desires. As a matter of fact, 64% of global companies are looking to use co-working spaces in the next three years, according to research by CBRE, the real estate service company. “People recognise that flexible work today provides better work-life balance and allows them to do the things they want to do, where they want to do them,” Chambers adds. It’s no wonder Regus is vying to expand its offering across the world in general and in the UK in particular. Previously, the business launched in Belgium in 1989 and began to franchise in areas like Iceland, the Caribbean, Africa and the Middle East circa four years ago. However, the Luxembourg-headquartered company only began to franchise in the UK in March 2018. And that’s when Chambers was headhunted to spearhead the UK franchise’s growth. It’s easy to see why he was the top choice for the role, having accumulated almost 25 years of franchising experience prior to being recruited for the job. Chambers previously worked as an area manager for Burger King for 13 years and spent the next 11 years doing several different roles at Costa Coffee. This inevitably provided a wealth of knowledge about franchising. For instance, he realised how franchisors must encourage and support franchisees. “[As franchisors] you must listen to what franchisees want and need – it should be a two-way relationship,” he advises. Despite operating in the UK since 1989, the company took its time before stepping into franchising. Now that it has, the franchisor has recognised it’s a complex industry and wants to make it easier to operate for franchisees. “We’ve actually removed a lot of the complicated tasks away from the centres,” Chambers says. Part of the process was to establish remote IT support and a few other things to remove confusion. The result is that franchisees joining the network can enjoy a smooth ride. 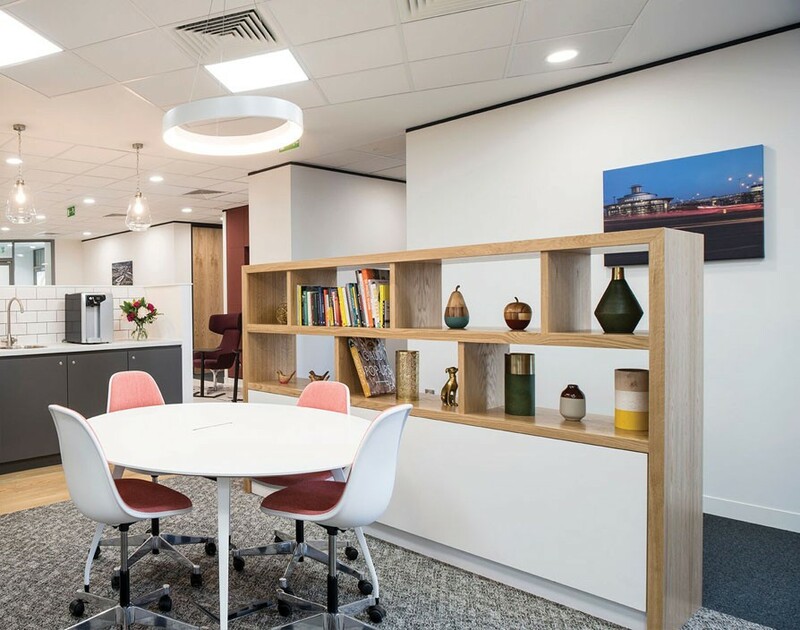 “If you’re looking to open a Costa Coffee, you just go out and find that space and then convert it into a Costa and the Regus proposition is no different to that,” he explains. While operating a Regus centre is reasonably easy, becoming part of the network isn’t. Successful candidates must prove their business acumen before being accepted. “We’ve got an incredible brand and we’ve got customers that have high expectations and we want to ensure we take the right franchisee on,” he argues. The right person for the brand should ideally be experienced in operating successful businesses and be a people’s person ready to focus on the consumers’ needs. “I’m looking for people that are ambitious, motivated, driven, who’ve got experience in business and, ideally, experience working within a franchise environment – that helps quite a bit,” he adds. While it isn’t easy to get accepted, successful candidates are given extensive support and training. And Chambers goes the extra mile to ensure they’re on the right track. “We’ve got very close relationships with our franchisees,” he says. “[It’s] very much a partnership, we work shoulder to shoulder with them every step of the way.” From identifying the right location to negotiating the best possible terms, the franchisor handholds the franchisees. Once the site is finalised, the franchisee gets Regus’ design manuals so they can set out an office with the latest specifications. Another huge plus for a potential franchisee is that they can capitalise on the brand’s reputation. And despite being only one year into its franchising journey, Chambers is bullish about growth. 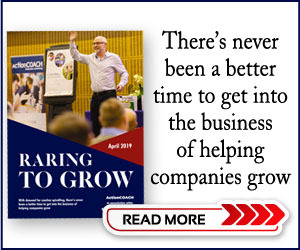 “I go out and I talk to people about the business and they’re absolutely blown away by the opportunity, it’s got so much flexibility about it and so much growth potential,” he says. 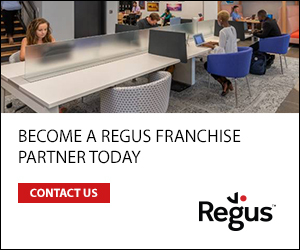 Looking forward, with a footprint across 110 countries with more than 3,300 centres already, Regus will soon be launching franchises in North America. As far as the UK is concerned, Chambers is sure about growing the number of franchisees to more than its current five this year as more businesses are seeing the benefits of co-working spaces. “Companies now recognise that their financial and strategic benefit is shifting towards flexible working,” he concludes. “And by using the services of a company like Regus you can actually have talent wherever you want them based.” No wonder big players like Microsoft, Amazon and Airbnb are using co-working spaces, which means great opportunities for Regus’ future growth moving forward.